Oracle of Ages/Seasons out now on the 3DS eShop! 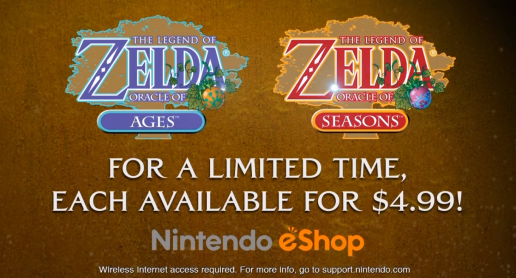 The day has finally arrived–both Oracle of Ages and Oracle of Seasons are now available to download on your 3DS via the Nintendo eShop! If you missed the news post a couple of weeks back, you can also grab them at a discounted price of $4.99/£4.49 each until June 20th. After this date, the games will be priced up to $5.99/£5.39. 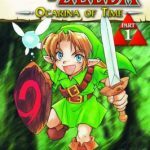 This marks the first re-release of the Oracle games in over a decade, since their original Game Boy Color release way back in 2001. They are the only games in the series released simultaneously as counterparts to one another, and to support ‘linked game’ connectivity. They were also the first games in the series handled by Capcom, and in fact the first games externally developed outside of Nintendo. And boy, did that bold move pay off–the games turned out to be some of the most imaginative and compelling in the series.